Google’s ambitious “Project Loon” seems to have hit a road block. 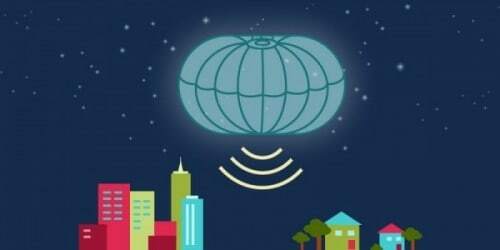 Barely after a few months of its first tests on its balloon-powered Wi-Fi service, the project has got into a legal entangle. The concept works using a network of balloons, which travel along the edge of space to bring internet access to even the most remote areas of the world. However now, a company called Space Data Corporation has filed a complaint against the firm, arguing that the project infringes on patents from over a decade ago, and breaks their Non-Disclosure Agreement. According to a document filed in Northern California District Court earlier this week, Space Data writes that Google’s Project Loon unlawfully uses their trade secrets discussed nearly 10 years ago. ‘As set forth in detail below, Project Loon improperly and unlawfully utilizes Space Data’s confidential information and trade secrets which Space Data disclosed to Defendant Google pursuant to a 2007 Mutual Confidentiality and Non-Disclosure Agreement (‘NDA’). The Verge says that Space Data’s 1999 and 2001 patents on balloon-network connectivity and the termination and recovery of these systems come long before the development of Project Loon. The complaint cites a Non-Disclosure Agreement signed in 2007 regarding the trade secrets discussed between the two companies pointing out that Google founders Sergey Brin and Larry Page visited the Space Data headquarters, and attended a 2008 balloon release. In the document, Space Data has even included a photo of this visit, showing Brin at the February 2008 event. ‘Space Data and Google engaged in extensive discussions about Space Data’s business, including its technology, and its financial model,’ the complaint states. Just a few years following the agreement and meeting, Google started work on Project Loon. Google has refused to comment on the matter as of now.